I mentioned previously that I was hoping my fantastic May was a sign of good things to come for the rest of the summer. And it seems like it was because June was equally wonderful! I made so many great memories. 1. Culling My TBR + Book Buying Ban - Kelly is in complete control of her TBR, and I've always been envious of her for it. She was my life coach in June and helped me take a long, hard look at my shelves and majorly cull them. In addition to the cull, I instituted a book buying ban for June. I successfully completed it - my only purchase was a book I'd already read and pre-ordered prior to June. Honestly, I think I'll continue the ban! 2. Celebrating My Sweet Friend - One of my best friends from college is having a baby in August, and I'm just so excited for her! I was thrilled to be able to celebrate her by attending a baby shower for her in June. An added bonus? My mama kept my boy for the day, and I got lots of alone time. I had to drive pretty far and got to use that time listening to an amazing audiobook! It felt like such a treat to have so much time to myself. 3. Best Bookish Surprise - Nick was traveling all of June for work, which was a bummer. We miss him so much when he's gone! His longest trip was to Japan, and I asked him to bring me back a Japanese edition of Anne of Green Gables if possible. He was able to find an adorable copy and came home with another incredible surprise: Japanese editions of The Hunger Games, Catching Fire and Mockingjay. I was on cloud nine! 4. Outdoor Reading + New Sunglasses - I've been taking my boy to the pool a lot this summer, and I've noticed one major life change since having a baby: I don't take any reading material to the pool anymore. Ha! However, we come home for his afternoon nap and I realized that I can read and sunbathe in the backyard now that it's fenced in. I've been in absolute heaven! Plus, I got some new sunglasses that I'm so obsessed with. “It’s funny how time is measured after you’ve lost someone. Everything relates back to that second your life swerved. but by those significant dates. The day we met. The first time we kissed. “She had been so stubborn, thinking that she had to learn to count on her own strength. 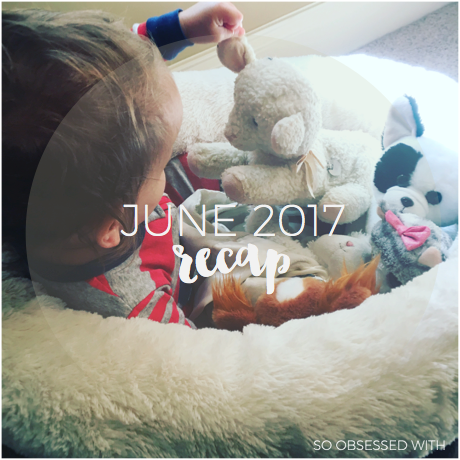 In June, I started off the month with my May 2017 recap. Then, I talked about judging a book by its cover and how I almost missed out on The Mothers by Britt Bennet because of it. I shared ten reasons people should read The Jane Austen Project by Kathleen A. Flynn, a recent favorite read for me. I wrote about my love for The Haven Point Series by RaeAnne Thayne with another list-y review. Next, Alexa and I caught up on our Picky Pledge Reading Challenge! I posted my reviews for a book I bought because it was on sale (The Memory Book by Lara Avery), a book I bought because it was the next in a series (The Penderwicks on Gardam Street by Jeanne Birdsall) and a book I bought on audio (Wolf by Wolf and Blood for Blood by Ryan Graudin). 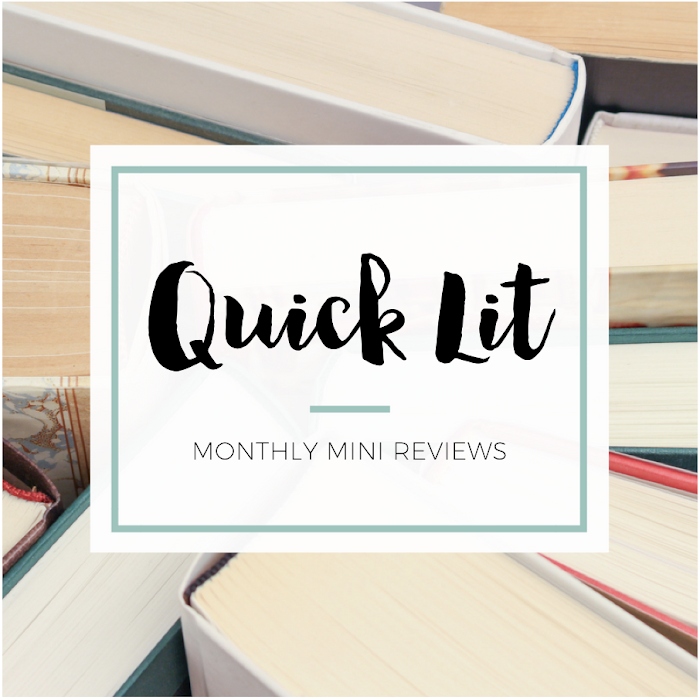 And finally, I wrapped up the month with my Quick Lit: May 2017 post, where I recapped what I read in May. 1. 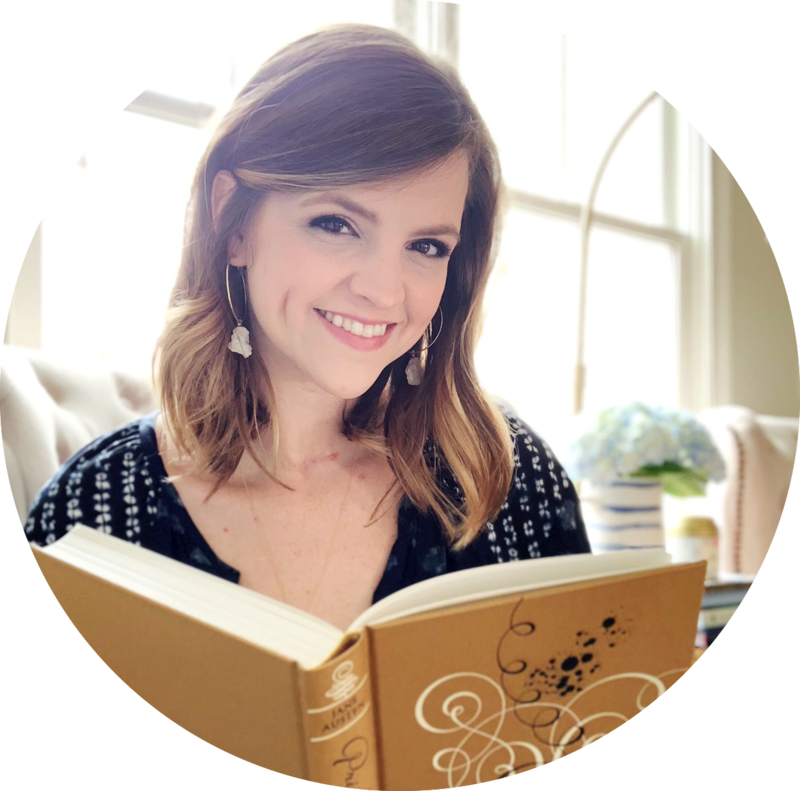 Reading with Kid: A Work in Progress by Christine at Buckling Bookshelves - This was definitely one of my favorite posts in June, and not just because I could completely relate to it! I loved Christine's look at how her reading habits have changed since her son was born, and it inspired me to ask myself the same question. 3. Your Most Boringly Useful Websites by Jessica at Go Fug Yourself - I love Afternoon Chats at GFY, especially when it's about something I didn't know I needed in my life. There were so many great (and useful!) website recommendations in the comments that I saved the whole post for future reference. I think Twitter made me look up this song, and I was hooked from my first listen. I can't even tell you how many times I played this song during the month! After loving Harry Styles' album in May and then Liam's single, I looked up Niall's song. And what do you know? I couldn't stop listening to that one either! Beauty and the Beast (2017) starring Emma Watson and Dan Stevens - I initially put off seeing Beauty and the Beast in theaters because I didn't want to deal with the crowds. Then days turned to weeks, and I realized that I'd missed my chance. Of course, I bought the Blu-Ray on release day. Although it was gorgeous, I didn't love it as much as I expected. I wasn't feeling the chemistry between Dan and Emma, among a few other things. Life Unexpected, Seasons 1-2, starring Shiri Appleby, Kristoffer Polaha and Britt Robertson - I think I saw someone mention this show on Twitter, which made me look it up on Netflix. I watched the first episode because I like Shiri Appleby and Britt Robertson, and that was all it took for me to binge watch it in June. The relationship drama got repetitive by the end, but I still loved this sweet and funny show. I'm sad it was canceled back in the day! I need to be really good and go on a book buying ban too! Attempting it for August, so wish me lots of luck ;) Also, I love Niall's song sooooo much. It's so fun to listen to!